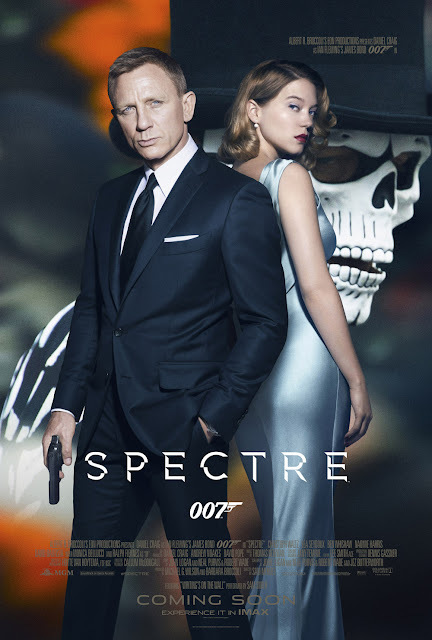 Home / MOVIE REVIEWS / "Spectre" Movie Review: Almost Had It All! "Spectre" Movie Review: Almost Had It All! The latest James Bond 007 movie franchise starring Daniel Craig as the lady's man and British Special Agent, James Bond, entitled "Spectre" takes us to a world of yet another mystery-solving adventure and action-packed British spying equipped with explosive action sequences, cool and innovative gadgets, and revelations of secrets that we have not yet known before during past three James Bond 007 movie series of recent history. The movie "Spectre" is not an all-out war against terrorism movie but a spy-action film that almost had it all. Even though I love how the movie progresses, I still think it would be better if James Bond defeated the entire "Spectre" organization with even more explosives and action sequences. But then again, I realized, this film is neither an American movie nor directed by Michael Bay, so I won't ask for anything anymore. Its just that, I think the story lacks on the storytelling itself, making "Skyfall" a better movie than this one. Maybe because of production costing or perhaps retirement, the movie's casting were also affected. After 20 years, two James Bond artists, and doing not just one but seven James Bond movie franchises, starting from GoldenEye (1995), Tomorrow Never Dies (1997), The World Is Not Enough (1999), Die Another Day (2002), Casino Royale (2006), Quantum of Solace (2008), and Skyfall (2012), Agent M played by Judi Dench finally "retires" her position by giving her very last cryptic message to James Bond played by Daniel Craig and sends him for a mission. As James Bond finally getting some of the information that he needed for his mission, his agency, meanwhile, is slowly falling apart due to the taking over of a British-government military group. Finally, he uncovered the truth behind the organization "Spectre" but that's just it. And then, "Bang! Bang! Kaboom!" and finale. Ooohh... You know I wanted something more and I know you wanted too, when you watch it! Crazy, right? But then again, I give credit to the opening title sequence, which is the best I've seen so far in any James Bond movie. The opening title sequences of "Spectre" is simply spectacular, it really makes you appreciate what the movie is all about and what's the meaning of the song "Writing's On The Wall" by Sam Smith. In fact, I now appreciate it more than that when I first heard it. *Watch the Official Music Video of Sam Smith's "Writing's On The Wall" here. In spite all of these, I still think, "Spectre" was a better movie than that of "Quantum of Solace" or "Casino Royale" but "Skyfall" is better than "Spectre". But of course, its just me talking and don't get me wrong either, "Spectre" is very entertaining as well. We give "Spectre" James Bond movie starring Daniel Craig an 8 out of 10 stars. “"Spectre" Now Showing in Philippine Cinemas!